The Indigo Girls, a Grammy-winning, folk-rock duo, will be the first main act in this year’s Performing Arts Series. This year marks the 17th annual Performing Arts Series at Goshen College. “I think that it is amazing that we can bring these world class performers to the Goshen College and wider Elkhart County communities,” said Brian Mast, managing director at the music center. Each year, Mast directs the process of gathering suggestions and booking artists. He also makes sure the performers have an enjoyable experience in Goshen, given that performing isn’t always the only thing on the artists’ agenda. Conspirare, a vocal ensemble, will perform in two weeks. The Performing Arts Series consists of nine concerts. Its diverse lineup includes Lyle Lovett, Orpheus Chamber Orchestra, the Peking Acrobats and A Prairie Home Companion, among others. “I feel very fortunate to work with the Goshen College team, both students and staff, that make these big events happen,” Mast said. At the start of this year’s first Performing Arts event is country singer-songwriter Angaleena Presley, who will open for the Indigo Girls. 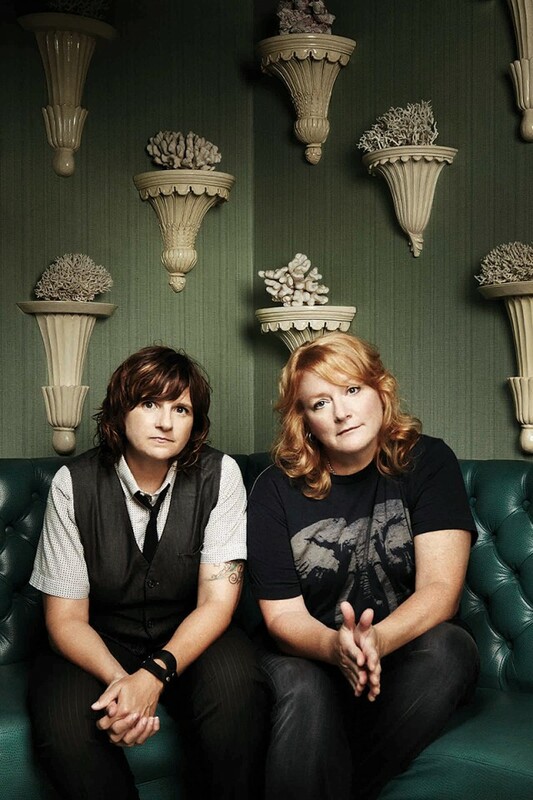 The Indigo Girls will perform this Saturday, at 7:15 p.m. to a sold-out crowd.